Robert Mapplethorpe self portrait NHYM 2016. 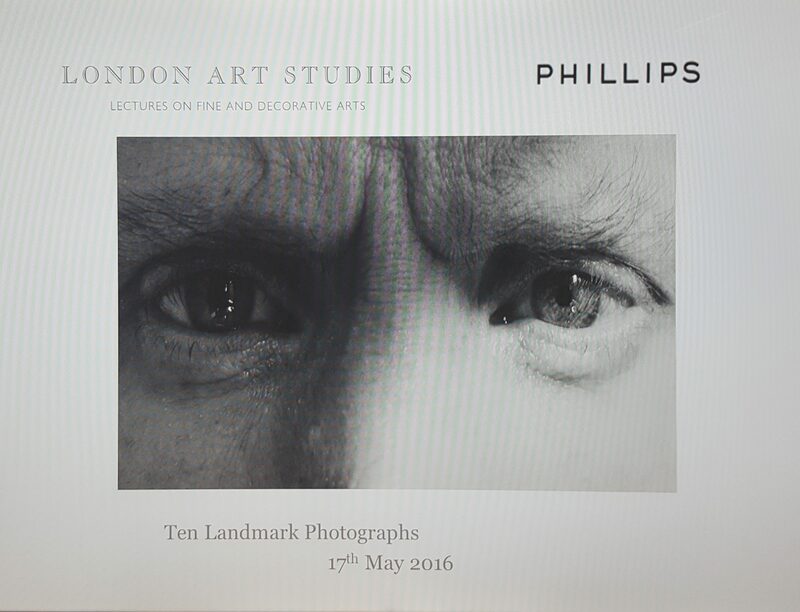 I was invited last Tuesday to attend a lecture at Phillips on ‘Ten Landmark Photographs’ by the London Art Studies, who offer short, accessible art classes. It was timed perfectly to coincide with Photo London, a very new photography fair which opened yesterday at Somerset House and runs until Sunday (last year was its first year), and the Phillips Photographs exhibit and auction. This week, it’s all about photography (Art16 also opened yesterday, but one has to choose with less time available). Diane Arbus. Three transvestites in evening dress. NHYM London Art Studies 2016. London Art Studies offer short, concise art classes for those who may not be able to commit to a 9 week Christie’s/Sotheby’s/Royal Academy of Arts course. When they contacted me, I was immediately intrigued and thought it a very good concept: pick and choose the subjects you want to learn about, when you are available. 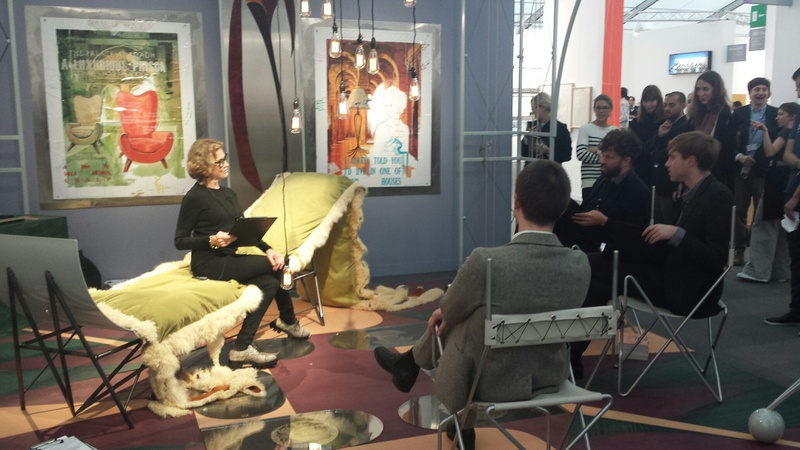 It offers classes in contemporary art, art collecting, and on topical, current exhibitions in London (for example, its class yesterday was on Georgia O’Keefe who will be at the Tate Modern this summer). 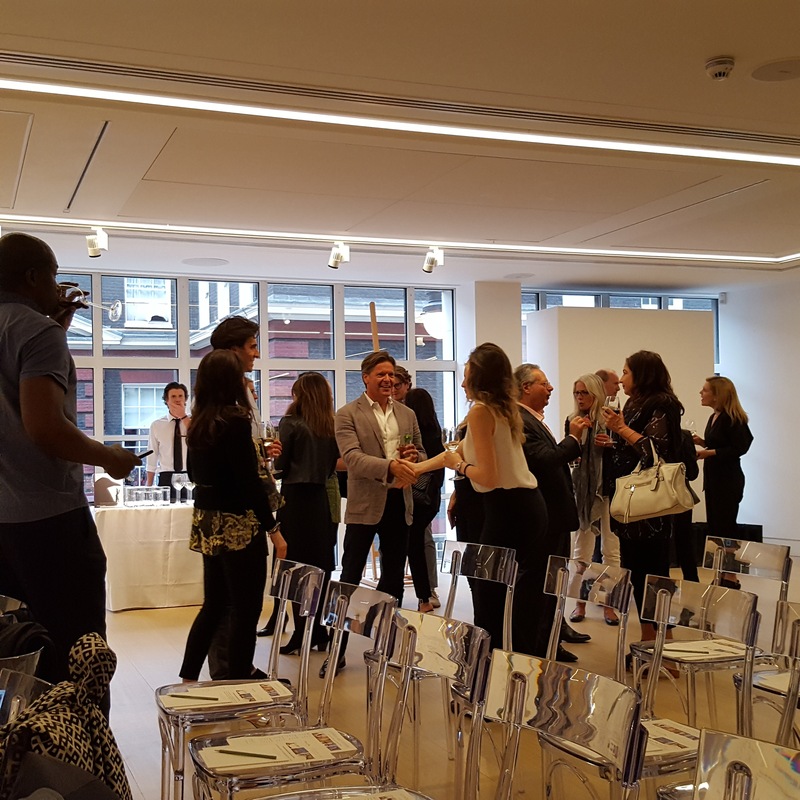 London Art Studies evening, Phillips, May 17 2016. NHYM. I arrived at the Phillips lecture room to find a room full of art lovers, collectors and photographers, including myself. I’ve always been interested in photography but last took it seriously about 15 years ago when I took a class at the International Centre of Photography in New York. Since then, I’ve been an ‘amateur’ photographer, as we all are in the age of selfies and instagram. 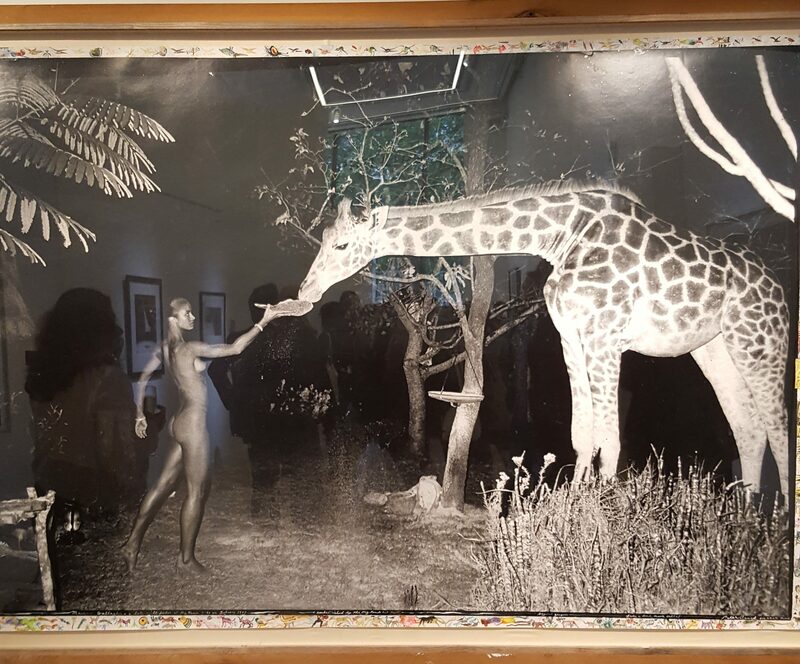 But photography is an art in its own right and this art fair and lecture is a reminder that it is one of the great creative mediums. 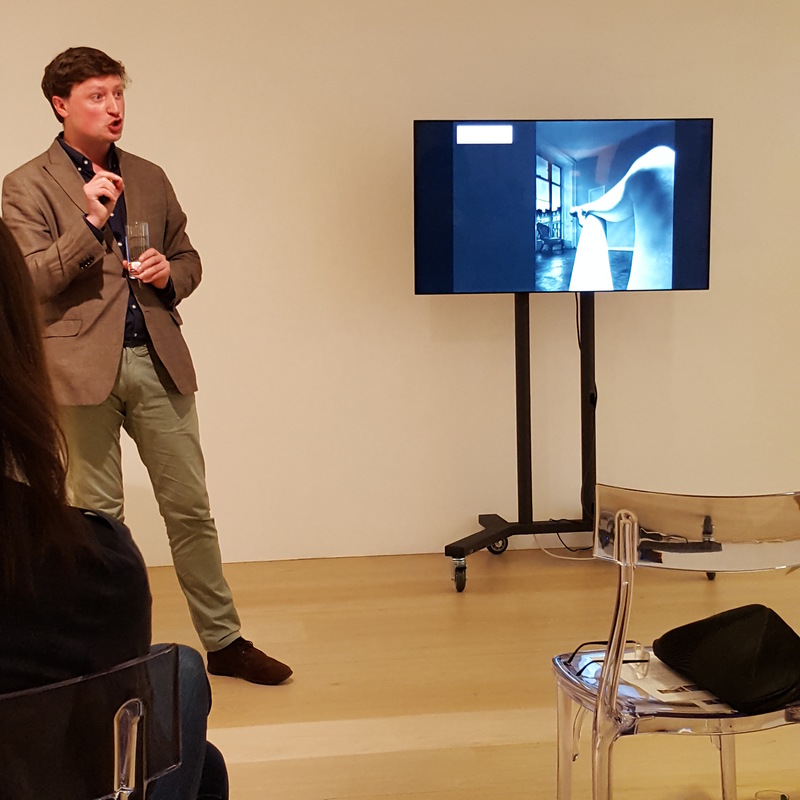 Lecturer Ben Street and photograph by Bill Brandt, NHYM 2016. The lecturer Ben Street has all the credentials you can ask for. He is a lecturer at the Tate, National Gallery and at Sotheby’s and Christie’s. 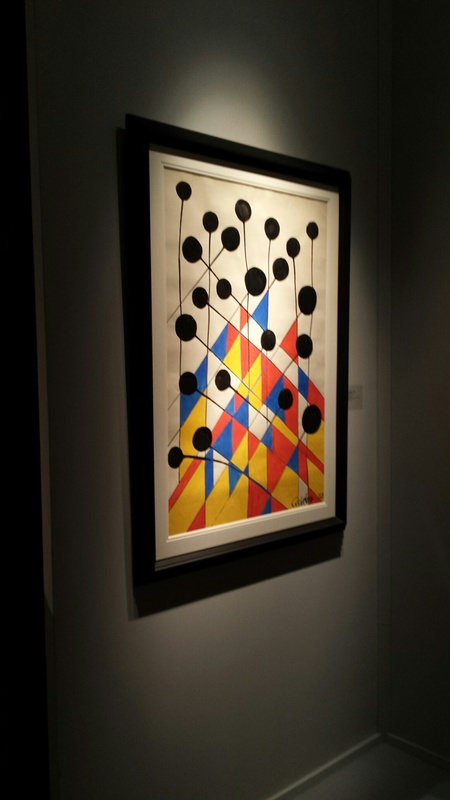 Right away, you could sense his passion and enthusiasm for art, which he conveyed in an eloquent and loquacious way. He went through the history of photography in an hour, which is a feat in itself. Photography is a very young art form, which only really emerged in 1839. 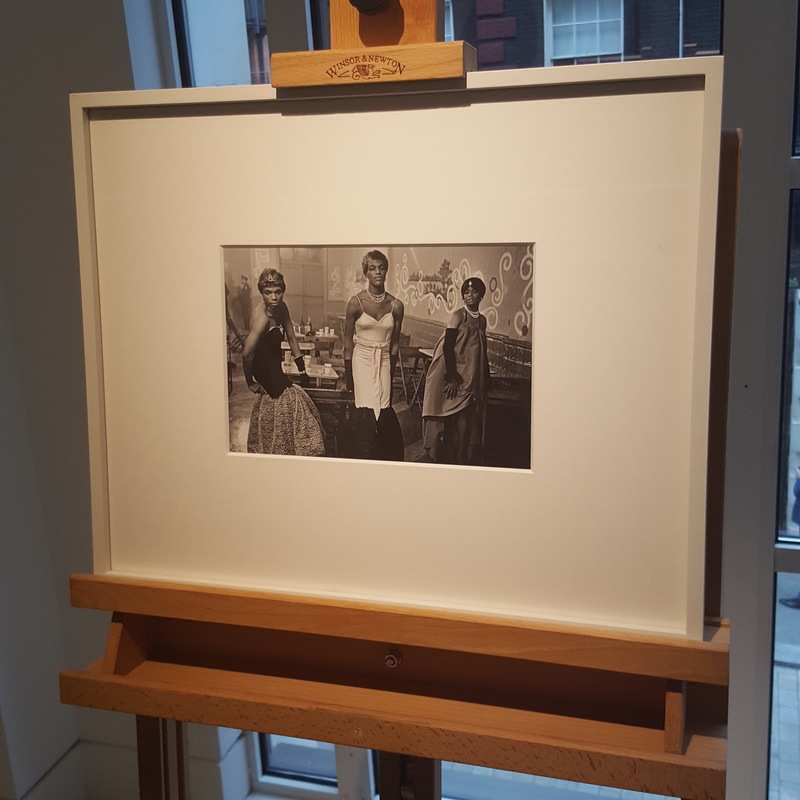 He showed us photographs meant to look like paintings (Julia Margaret Cameron), and discussed Henri Cartier Bresson’s huge influence on photography and the ‘decisive moment.’ This above picture by Bill Brandt shows the surrealist movement of photography. Robert Mapplethorpe Flowers. NHYM 2016. After the lecture, we were invited to visit the Champagne reception and photography exhibit in advance of the photography auction. 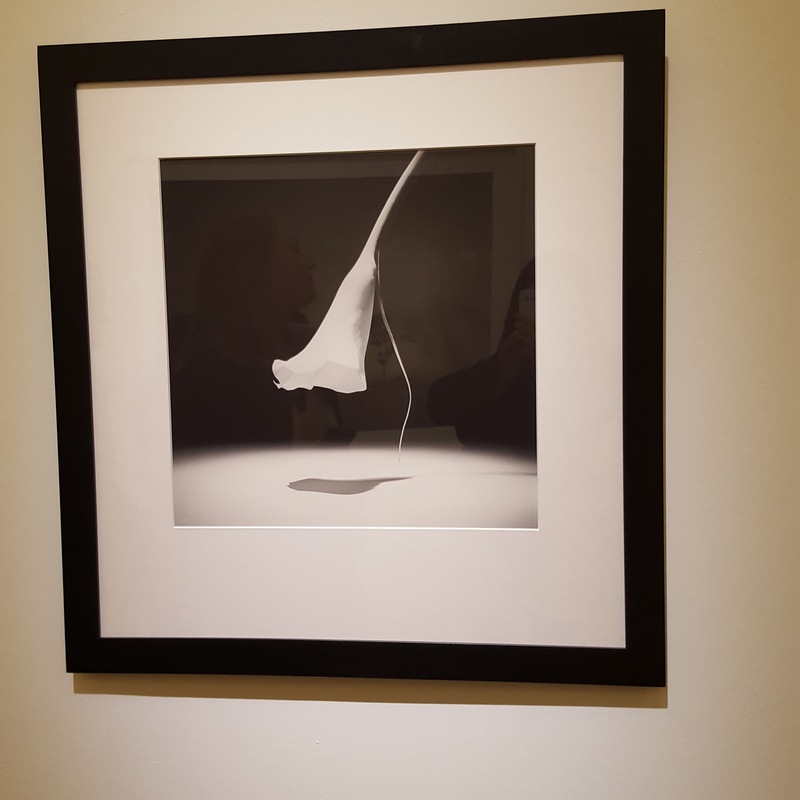 The exhibit had a wide range of illustrious photographs, but also had a strong emphasis on fashion photography’s impact on our general culture (coinciding with Vogue’s 100th). Peter Lindbergh Supermodels NHYM 2016. The London Art Studies classes are a great way to learn in an informal, social environment in short, concise classes. The lecturer was excellent and the set up was lovely (although it started a little later than was supposed to, which would have been fine apart from babysitting issues). I thoroughly enjoyed it, and loved learning in a different way. At university, part of my curriculum involved Art History, which I loved. It taught me the appreciation of art, and for those who want to learn more, this is a sweet and succinct way to go about it. Recommended. 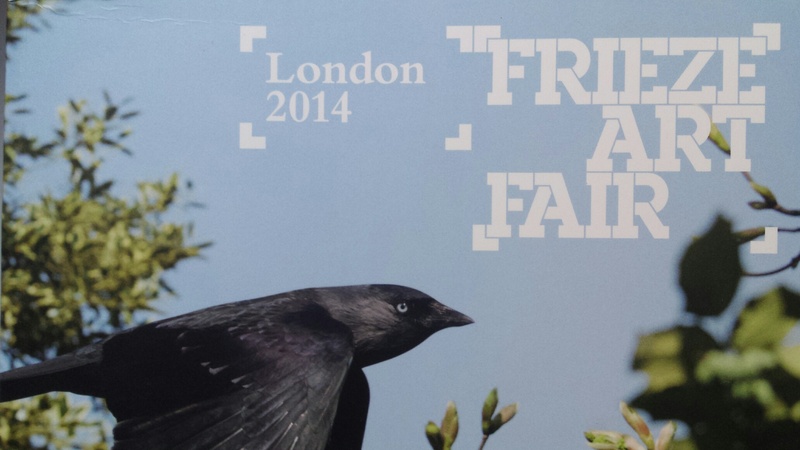 Frieze week has become more than two Art fairs (Frieze and Frieze Masters) in Regent’s Park. 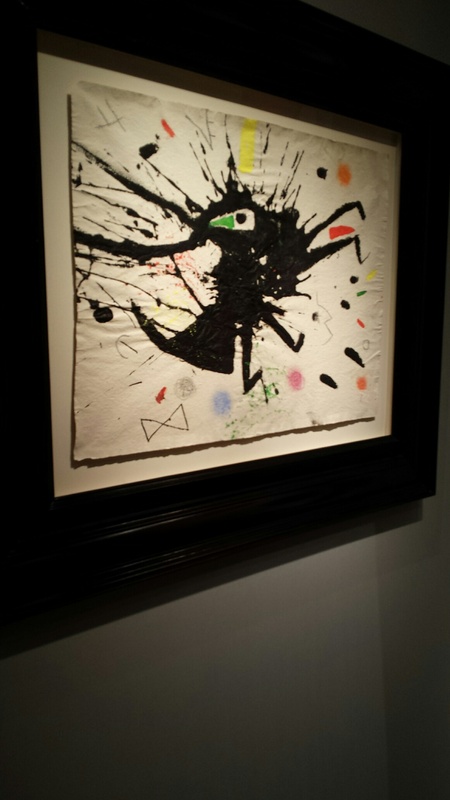 It is one of the cultural events of the year, with gallery parties, openings and shows all over town, auction houses like Sotheby’s and Christie’s auctioning away, and this week attracts some of the biggest Artists, Art dealers, Art collectors, gallery owners and Art lovers coming from every corner of the world. The Frieze VIP Collector’s Preview Day is one of the hottest tickets, reserved for serious collectors, gallerists, Artists, Art dealers, a few celebs, the press and a few onlookers like me. This year, after 11 years of practice, the fair seemed cozier than usual, more mature, and less souk-like. The ‘Arterati’ provided excellent people watching, as usual, from the green haired up-and-coming artists, the proven artists (Tracey Emin spotted), the leather and fur wearing collectors, and many, many dealers. 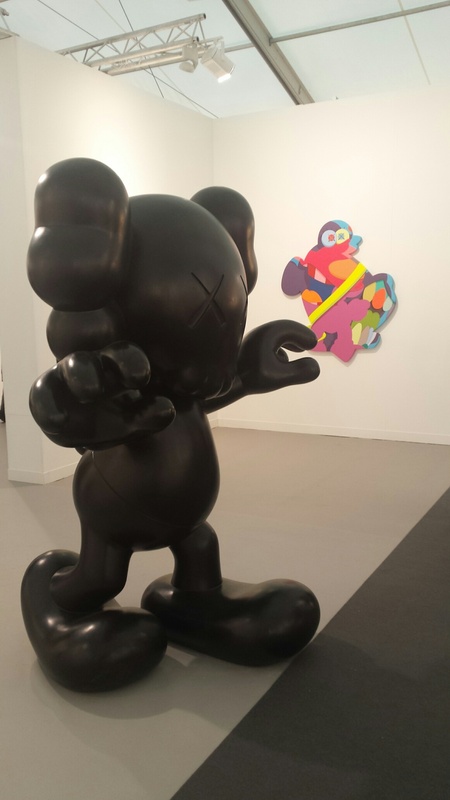 This year’s preview felt overpowered by the dealers rather than the collectors, brokering deals with their clients over their Android phones. The question around Modern Art is always, ‘What constitutes Art?’ ‘And when does something become a piece of art?’ A shoe in a glass case. A cereal box. The Thomas Dane gallery, who is credited for starting Steve McQueen’s career, had on display supermarket crates as a piece of Art. Can anyone tell me the meaning/expression of supermarket crates? Did I just miss the point of it? Does it mean consumerism, waste or just that someone forgot to return the crates after they were done unloading the Art? Victoria Miro Art Gallery exhibiting the likes of Kusama Yayoi. UNITED GALLERY. 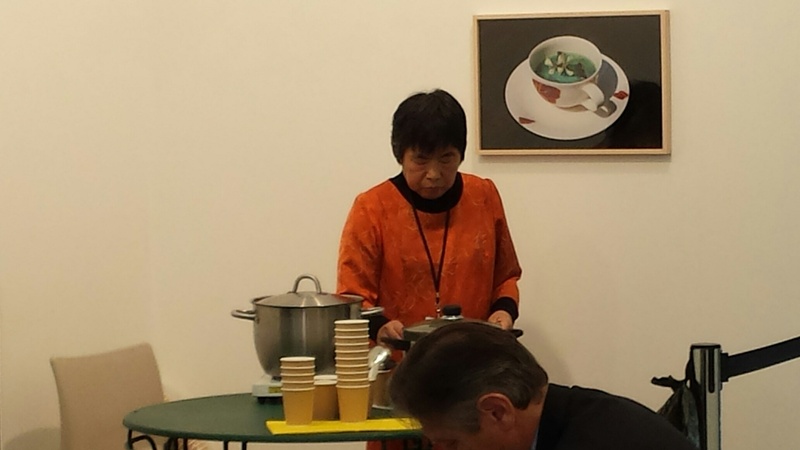 One of the most talked about exhibits, the famous Fukushima soup, ‘Does this Soup Taste Ambivalent?’ from the United Brothers, is a soup made by their mother from radishes from Fukushima. It defies the viewer to try the soup, which may or may not be radioactive. Needless to say, I did not see a line of people waiting to try the soup. 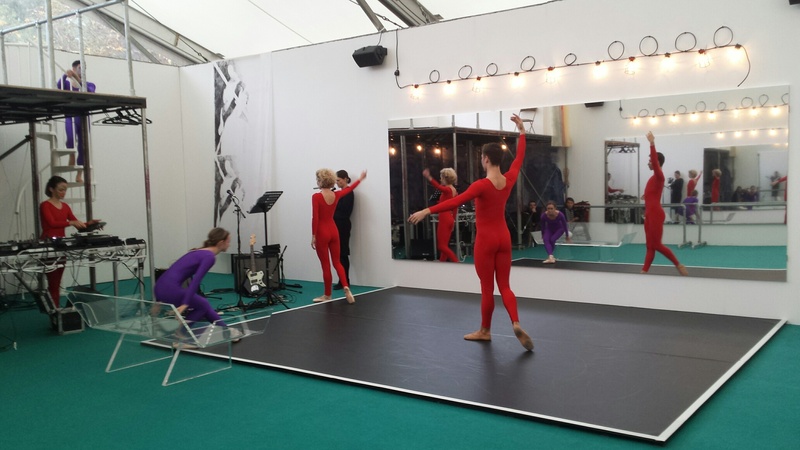 Frieze Project: Nick Mauss ‘Living Stage.’ Performance Art featured highly at this year’s Frieze like this ballet performance. Another performance, this time involving the public, who seemed to read off a script for what looked like a Film audition. 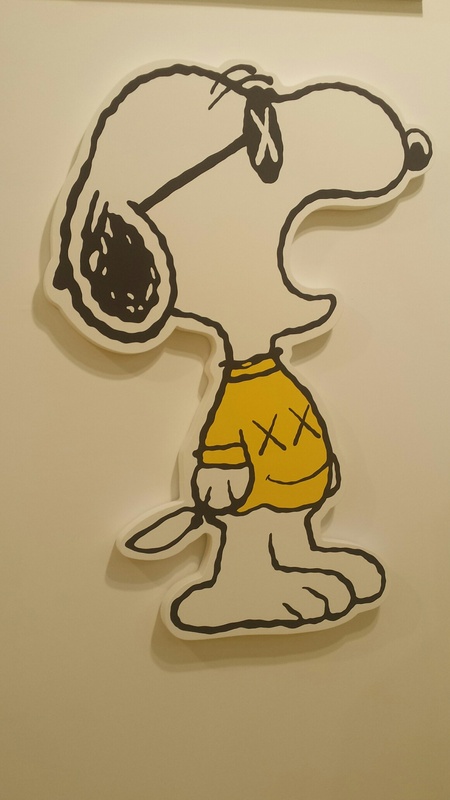 Playful children’s themes, like Mickey Mouse, Snoopy, Cereal boxes and stuffed animal displays brought a light side to the Frieze. 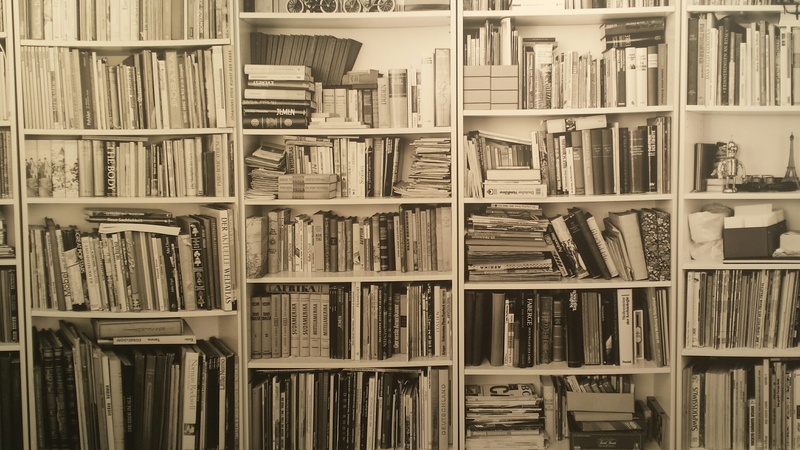 This B&W photograph of books was one of my favourite pieces of Art at the Frieze. To me, it evoked my love of books, and my personal feeling and emotion of comfort and safety from being surrounded by books. 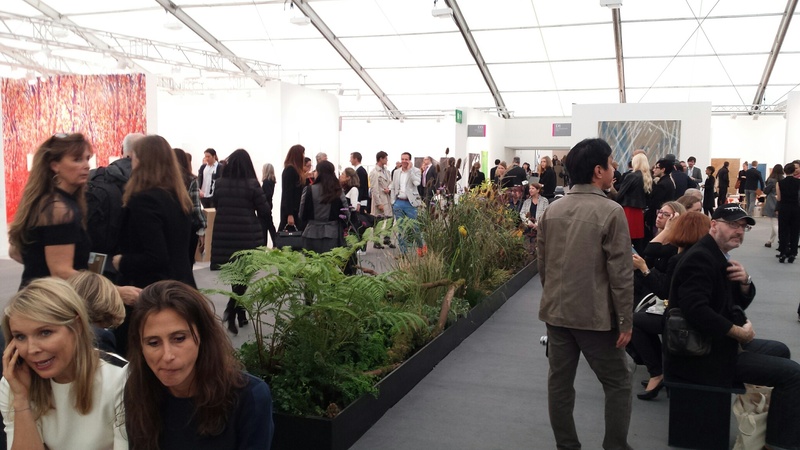 If the Frieze were a colour, it would be white; white tent, white paths, white walls, whereas the PAD Art+Design Fair would be Black, black walls and blackouts (there were about 6 blackouts throughout the preview day). 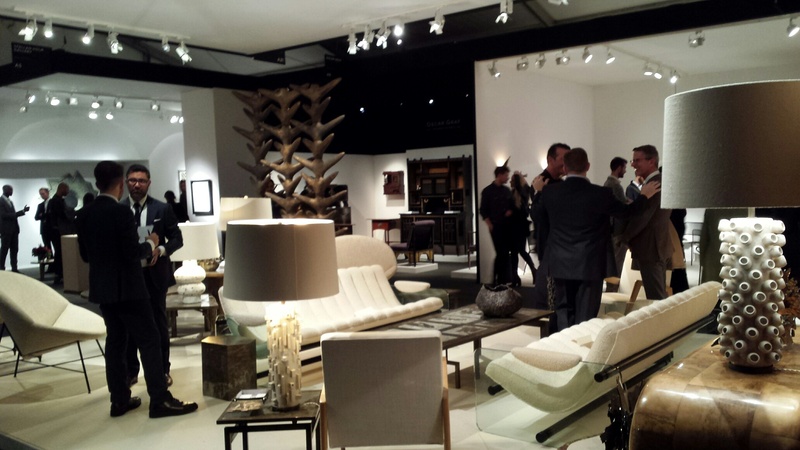 Despite the blackouts, the fair was a sleek, sparkly and shiny, furniture-heavy event. There was a mix of ethnic, contemporary, jewellery and design pieces. An aquamarine necklace was on sale for £400,000 and had its own personal jewellery bodyguard. 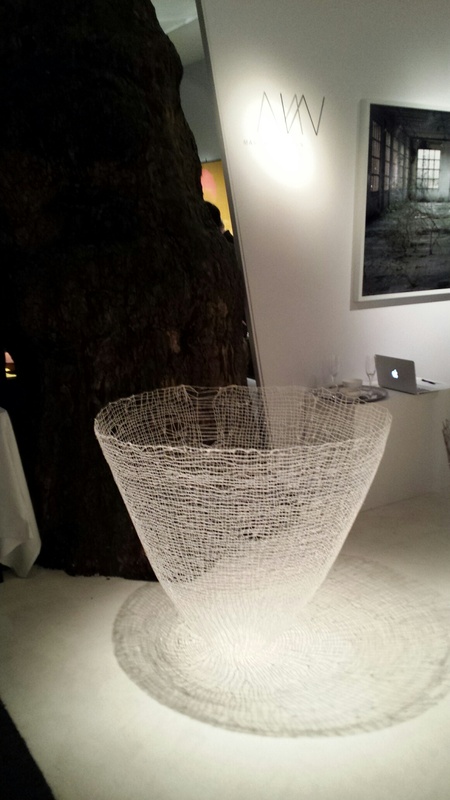 There were some great light installations, sculptures and an art deco table that I could see in my house. 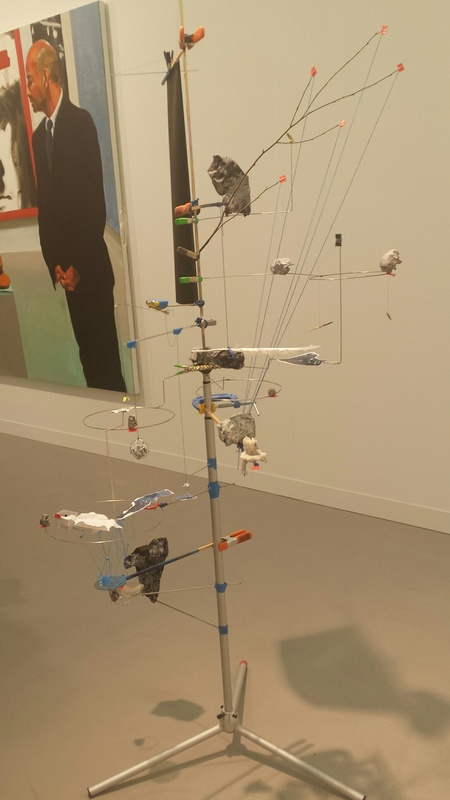 There were more pieces at PAD, in my opinion, that I could live with than at Frieze. A furniture display that could easily fit in my home. We finished off our night at the Arts Club, where we saw Beyonce and Jay Z at the Upstairs bar. I am pleased to say that I was feeling on trend, wearing black leather trousers and a black blazer, just like Beyonce. I must be recovering from my Fashionitis ;).